Martin is the founder and Chief Executive of Cambridge Cleantech. Martin supports members by encouraging supply chain opportunities for companies in the sector, enabling shared experience of innovative growth businesses and providing collective services such as access to finance, government regulatory updates and links to international partners. 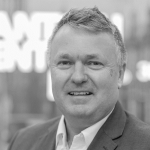 Previously, Martin was the Environmental Manager for IBM, has undertaken governmental liaison roles whilst working for Boots the Chemists and was one of the UK’s first City Centre Managers in Nottingham. He graduated from the University of Manchester with an Honours degree in Town and Country Planning and a Bachelor of Planning focused on environmental issues. He is a member of the Royal Town Planning Institute. Sam Goodall is the International Projects Manager at Cambridge Cleantech. 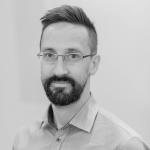 He is experienced in project planning, stakeholder management and sustainability and has extensive experience working as a large business support consultant. He is an expert in EU project management, and has a lot of experience developing and delivering EU projects in line with procedural and financial requirements. Sam is currently in charge of the ERDF-funded projects in which Cambridge Cleantech is involved: GreenSoul, Scale UP and SCI-FI. With a French Baccalaureat in Biology and a 4-year international business and management degree, her studies have taken her to the UK, Spain and Uruguay, providing her with experiences that have helped shape her understanding of different cultures and working environments. After graduating, she worked for various international companies in Monaco, Glasgow and London, dealing with a diverse range of products, from marble and granite to children’s toys. A move to Cambridge and her first pregnancy shifted her priorities and she decided to focus on working for companies that can make a difference socially and/or environmentally. She was the Executive Manager of the Birthlight Trust and has now joined Cambridge Cleantech as Operations Manager. Her aim is to ensure that everything goes as smoothly as possible for the Cambridge Cleantech members and the team. Anthony’s career has been both as an EU project manager/coordinator in Science, Innovation and Technology in the private sector in the UK and as a lab engineer in academic research in France. He has a Master’s degree in Biotechnology and a Bachelor’s degree in Environmental Sciences. He is experienced at working and collaborating with different sectors (academic, private and public). 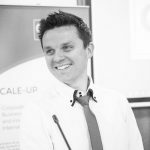 Anthony joined Cambridge Cleantech in early 2016 and is now working as an EU project Manager on 3 different projects in the Smart Cities, Open Innovation and Energy Efficiency sectors. Prior to this, he was coordinating a France Channel England project on energy usage and the benefits of renewables in local communities. He also worked on 3rd generation biofuel production and the optimisation of microalgae harvesting in France at the CEA (designated most innovative state funded institution in the world by Reuters in 2015). 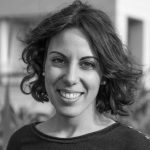 Ana works as Marketing & Events Manager for Cambridge Cleantech, and is responsible for the support, coordination and promotion of multiple events and European projects run by Cambridge Cleantech as well as their online promotion. Ana has a Bachelor’s Degree in Tourism and two Master’s Degrees, one in Management and another in Marketing Communications. She is multilingual with a wide range of experience in customer relations, where she worked as a Senior for several years. She is very enthusiastic about the creation and coordination of events in different sectors as well as their online and offline promotion. Cinthya works as Communications & PR Manager for Cambridge Cleantech, and is responsible for communications and interactions with the media. Cinthya has a Postgraduate Diploma in Journalism and a Bachelor’s degree in Engineering, and has several years of experience working in communications and journalism. Charged with delivering news from the ‘other side’, she strives to tell the story behind Cambridge Cleantech and its talented members, who have helped position Cambridge as one of the leading centres for cleantech innovation. Emma supports impact entrepreneurs and start-ups looking to make a positive impact on the world, and leads the “Future 20” at Allia, a select group of inspiring start-ups addressing global challenges. She is passionate about encouraging and helping people to create solutions to some of the world’s biggest problems through innovation and entrepreneurship. She has 12 years’ experience of working with large corporate clients solving sustainability challenges at the University of Cambridge Institute for Sustainability, and a sound understanding of climate change and renewable technologies. 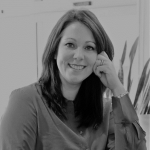 She supports Cambridge Cleantech with business development and making connections to support the growth of both organisations, and is an elected member of the council for the National Trust, guiding long term strategy. Alison has a DipRSA in Administration and has trained to AAT level 3 in accounts. 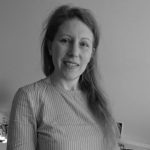 Having worked in bookkeeping for 20 years, Alison started out at a small family business which grew in size to one of the largest suppliers to the road surfacing industry. Then running her own small family landscaping business while starting a family. Recently, Alison has been supporting two small businesses setting up and working as a bookkeeper for a local PR and Marketing firm. Alison is passionate about the environment and this is what drew her to join the Cambridge Cleantech team in 2017 as their bookkeeper, with the vision of supporting the companies within the Cleantech ethos.